In August 2010, MJB&A and the Analysis Group completed a report reviewing the impact on power plant operations of proposed EPA rules to reduce emissions of sulfur dioxide, nitrogen oxides, mercury and other hazardous air pollutants. 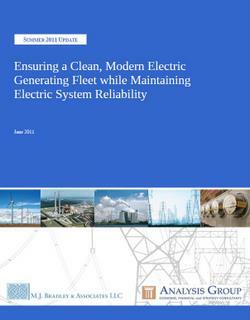 The report, “Ensuring a Clean, Modern Electric Generating Fleet while Maintaining Electric System Reliability,” involved a detailed analysis of the nation’s coal-generating fleet and an examination of how forthcoming EPA regulations could affect the overall reliability of the electric grid by driving plants to be retired or forcing the installation of pollution control systems. The report advises that federal and state regulators and the electric utility industry must take a proactive approach to managing the transition to a cleaner generating system. Click to access the report.